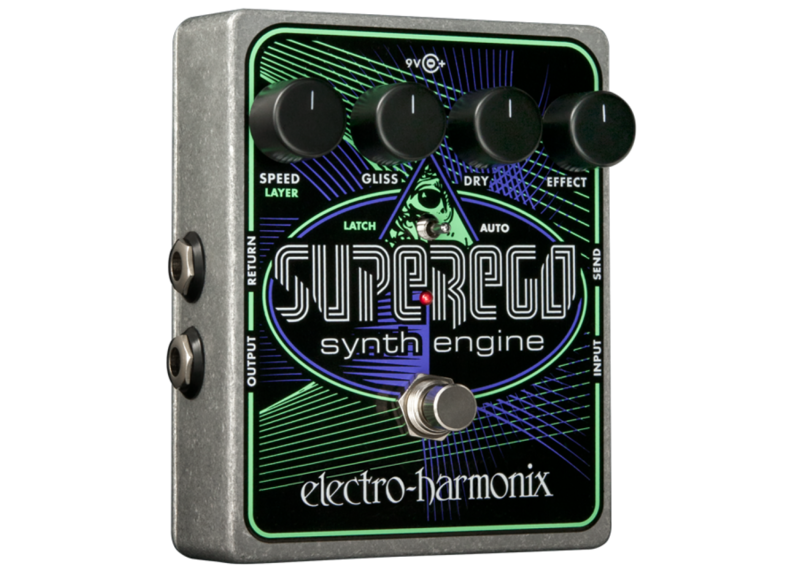 The Electro-Harmonix Superego Synth Engine effects pedal is a new and unique product that combines elements of sampling, synthesis and infinite sustain. 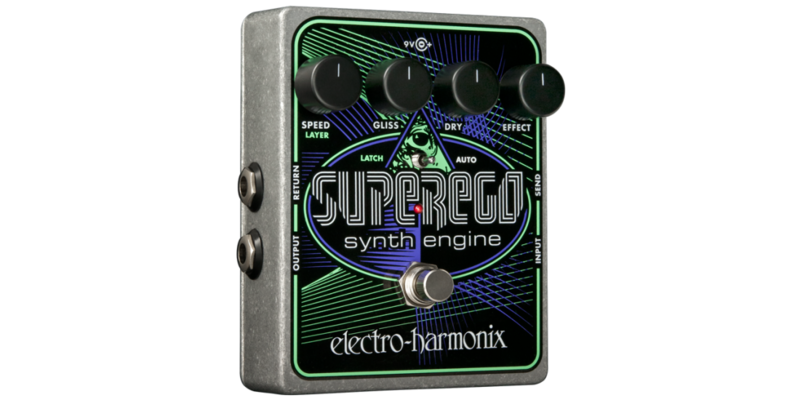 The Superego allows you to freeze sound, gliss between frozen tones, layer sounds and place an external effects loop on only the effect. In addition, the Superego can detect new notes or chords and sustain them automatically without requiring you to step on the footswitch. It even lets you tweak attack and decay, or use its effects loop to invent novel synth patches. The Superego has three modes: Latch, Momentary and Auto. A toggle switch at the center of the Superego chooses between the three. Momentary mode is not labeled in the artwork; it is the center (or eye) position of the 3-position toggle switch.